Our rooms include free bed linen, a private locker, personal reading light and power socket. Air conditioning and heating in all rooms and the common areas. We also have free fiber high-speed Wi-Fi , 24 free hot showers, free BBQ facilities, free tour maps and an amazing solarium terrace. Breakfast is not included but you can make your own meal by using our common area provided by fridge, microwave, toaster, kettle, dishes , plates, wending machines and free tea! 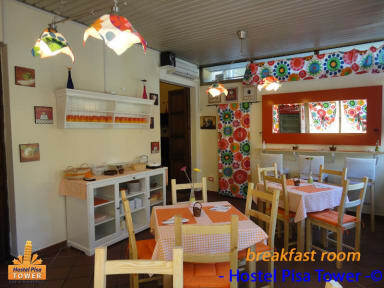 It is a small but one of the cutest hostel. Everything was perfect, especially the staff. Location and cleanliness are also the highlighting points.